If you love to work with your hands, have basic carpentry skills and love the water, you should consider building your own boat. Building your own boat can save you a lot of money, but even more - with the savings, you get the satisfaction and pride of having done the job yourself. Today, it’s easier than ever to build your own boat because the Internet offers a wealth of boat-building resources. 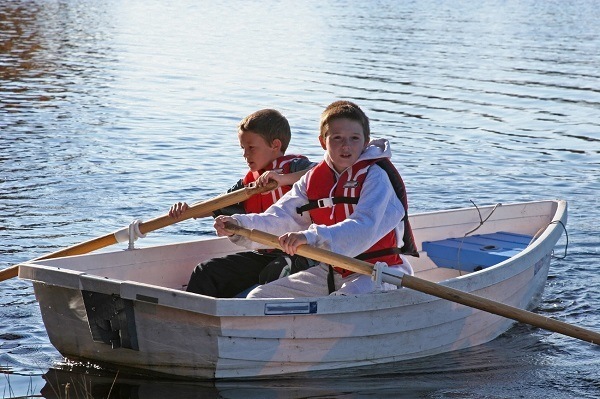 You may be not sure which small boat is the right one for you to try your hand at building. There is a variety of small boats to choose from. The right one for you will depend upon several factors, like what type of activity you plan to use it for and the kind of water you intend to use it on. Let’s take a look at five popular types for you to consider. Rowboats are simple boats that are propelled through the water with the use of oars. Rowboats aren’t built for speed. They are meant to be used for more leisurely activities, like casually traversing a lake or pond or rowing to and from ships. A dinghy is a small boat which is often towed by a larger vessel. There are several varieties, including recreational open sailing boats and small racing yachts. These boats are normally rowboats, but some are rigged for sailing. Dinghies are used for off-ship excursions from bigger boats, outside of docking at marinas and ports of the proper size. Sailing dinghies are best for beginner training in sailing, rather than larger sloops, since they have a quicker response to both correct and incorrect maneuvers. A skiff, which means “small boat,” is small enough for rowing or sailing by one person. It may be propelled by oars, sail or a motor. A canoe is a slender, open boat which tapers to a point at both ends. It may be propelled by paddles or even sails. Traditionally, it is formed of light framework and covered with bark, canvas or skins. It can also be formed from a dug-out or burned-out log or logs but is now generally made of fiberglass, aluminum, etc. A kayak is a boat traditionally used by the Inuit. It has a light frame and is covered, these days, by fiberglass or canvas. The Internet offers everything from thousands of plans to advice on building materials and techniques. Now that you’ve got an idea of which boat may be right for you, go ahead, give boat building a try!